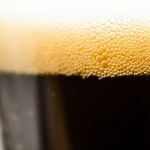 Barrel Aged Beers are a great accompaniment to the cooler days of winter. 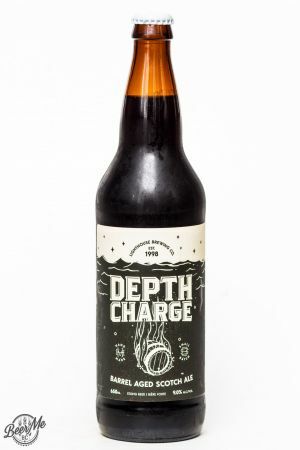 The Depth Charge is a bit of a shift from your typical barrel aged beer as it is a Scotch Ale. This seasonal release beer comes in bomber bottles and pours a colour of deep and rich brown. Topped with a thin finger of head which settles slowly, significant lacing is left behind on the glass. Smelling the beer the aroma is complex with a blend of caramel and oak with a mild smoke character. 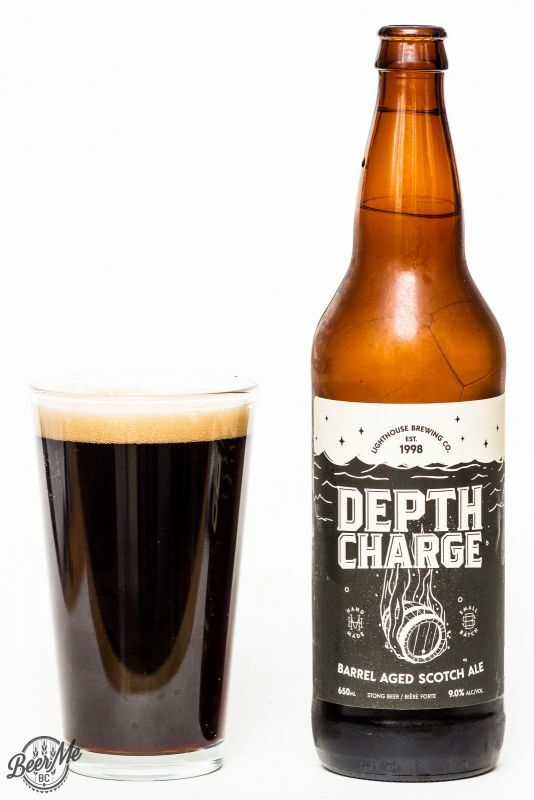 Tasting the beer, the caramel and roasted malt character comes up front while a bourbon-oak tone builds behind. The barrel aging has removed much of the traditional Scotch Ale notes and has left behind a vanilla-oak flavour that is smooth and creamy on the tongue. 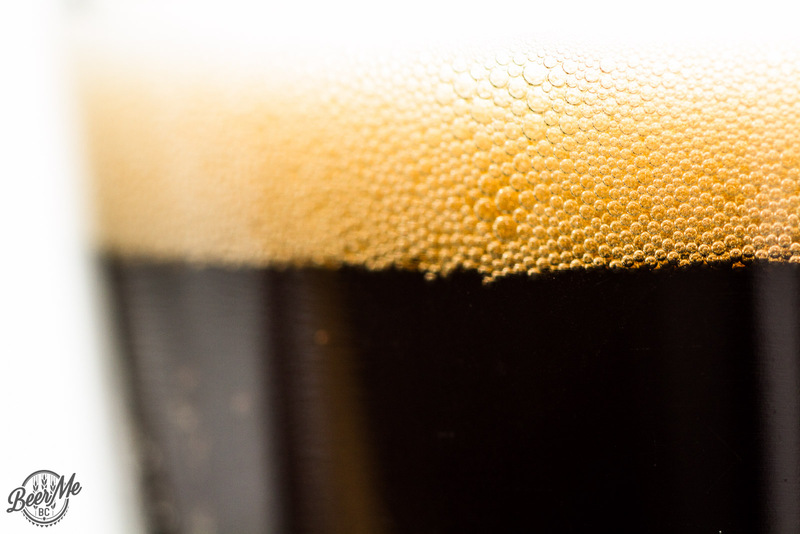 Any boozy notes are also masked with the big flavours that come with this beer. 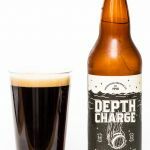 The Depth Charge is balanced and smooth and while not a typical Scotch Ale, it is none-the-less very tasty.